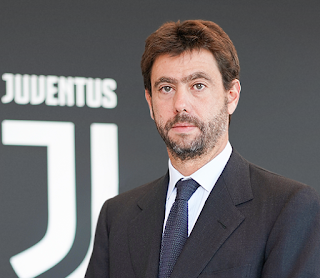 The businessman Andrea Agnelli, who since 2010 has been chairman of Italy’s leading football club, Juventus, was born on this day in 1975 in Turin. 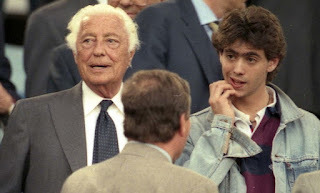 He is the fourth Agnelli to take the helm of the famous club since 1923, when his grandfather, Edoardo, took over as president and presided over the club’s run of five consecutive Serie A titles in the 1930s. Andrea’s father, Umberto, and his uncle, the flamboyant entrepreneur Gianni Agnelli, also had spells running the club, which has been controlled by the Agnelli family for 88 years, with the exception of a four-year period between 1943 and 1947. The family still owns 64% of the club. 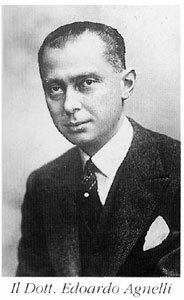 As well as being chief operating officer of Fiat, which was founded by Andrea’s great-grandfather, Giovanni, Umberto was a Senator of the Italian Republic. On his mother’s side, Andrea has noble blood. Donna Allegra Caracciolo di Castagneto is the first cousin of Marella Agnelli - Gianni’s widow - who was born Donna Marella Caracciolo di Castagneto and is the daughter of Filippo Caracciolo, 8th Prince di Castagneto, 3rd Duke di Melito, and a hereditary Patrician of Naples. 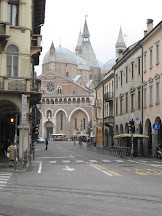 Andrea had a private education St Clare's, an independent college in Oxford, England, and at Bocconi University in Milan. After university, Agnelli entered the business world, working for companies in England and France that included Iveco and Auchan Hypermarché. 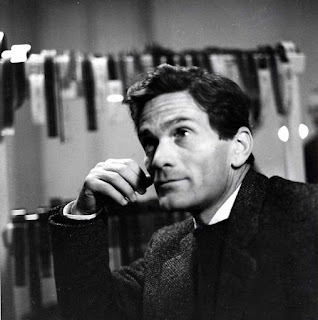 He also spent several years in Switzerland. 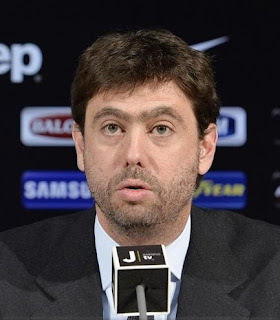 He was appointed chairman of the board of directors of Juventus by his first cousin, John Elkann, in 2010, after Elkann had come under criticism from Juventus fans for the club's poor results during the 2009–10 season. Many Juventus fans welcomed Andrea’s arrival because of the family's historic association with the club. He is credited with turning round the club’s fortunes at a time when the financial recession and the aftermath of the infamous Calciopoli scandal were making progress difficult. He stabilised the club’s finances and, after initially appointing Sampdoria duo Giuseppe Marotta as director of sport and Luigi Delneri as coach, pulled off a masterstroke in May 20100 by hiring former captain and fan favourite Antonio Conte as new manager. Conte, who had coached Bari to the Serie B title in 2008-09, steered Juve in his first season to their first scudetto since they were stripped of two titles in the mid-2000s as a result of the Calciopoli rulings. Since then, with Agnelli appointing the former AC Milan coach Massimiliano Allegri to replace Chelsea-bound Conte in 2014 in a seamless change at the top, Juventus have won a record seven Serie A titles in a row, as well as four Coppa Italia titles in a row since 2014–15. 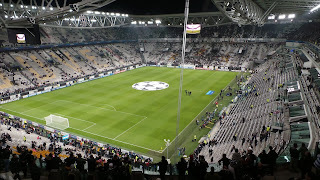 Juventus are well on course for an eighth consecutive title, having already built a lead of eight points over Napoli in the Serie A table, but Agnelli and the club more than anything crave success in the Champions League, which they have not won since 1996, when they defeated Ajax on penalties in the final in Rome. In the 22 seasons subsequent to that one, they have been runners-up five times, twice since Andrea became chairman, in 2015 and 2017, when they were beaten respectively by the Spanish giants Barcelona and Real Madrid. Despite falling revenues - the club recorded an operating loss of €19 million (£17 million) in 2017-18 - Andrea authorised the signing of Real’s Cristiano Ronaldo in July this year for a fee of €100 million (£88.5 million), beating the previous record fee paid by an Italian club that was set by Juventus in 2016 when they signed Gonzalo Higuaín from Napoli for €90 million (£75.3 million). The Ronaldo signing will eventually cost Juventus €340 million (£301 million) with the player’s salary taken into account, yet Agnelli insisted that the outlay “made sense on and off the pitch”, in a reference to the commercial revenue the Portugal star was likely to generate for the club through merchandising, and to his potential for helping Juventus achieve Agnelli’s target of winning the Champions League. As chairman of the powerful European Club Association, a position he has held since 2017, Andrea is keen to see the Champions League overtake domestic competition as the principal focus for Europe’s top clubs, proposing an increase in the size of the Champions League and a corresponding reduction in the number of domestic fixtures. This has been driven in part by the inequality that now exists between the domestic leagues in European countries, mainly because of the huge variations in television revenue, particular compared with the Premier League in England. Juventus, despite their dominant position in Italian football, are only the 10th wealthiest club in Europe in terms of revenue. Andrea Agnelli is married to Emma Winter, a English-born artist, designer and art director, whose clients have included United Visual Artists, Universal, Sony, Polydor, Ted Baker, Adidas, Dove, Peugeot and Panasonic. They were married in 2005 at the church of San Pietro in Vincoli in Villar Perosa in Piedmont, with the reception taking place at the nearby Villa Agnelli, the family estate which is now the home of Marella Agnelli. 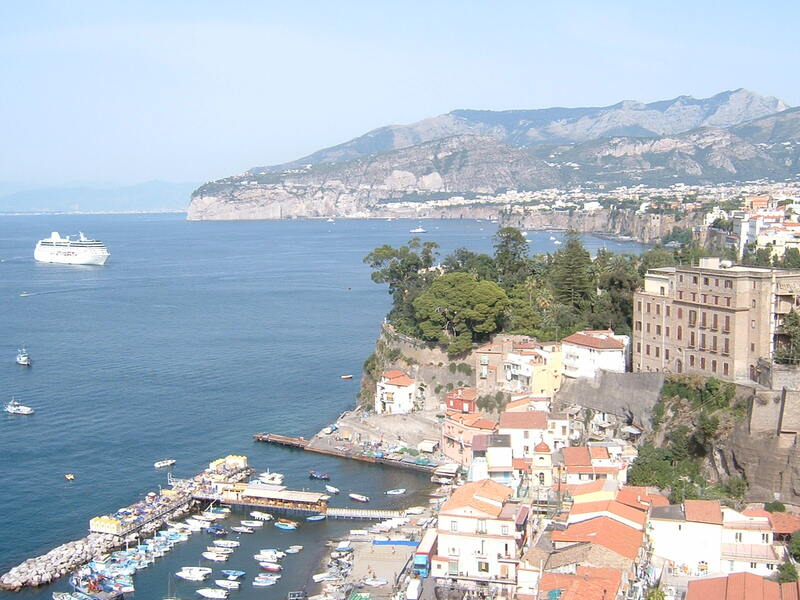 The couple have two children, 13-year-old Baya Agnelli and six-year-old Giacomo Dai Agnelli. Villar Perosa, where Giovanni Agnelli was born, is a small town about 40 km (25 miles) southwest of Turin. 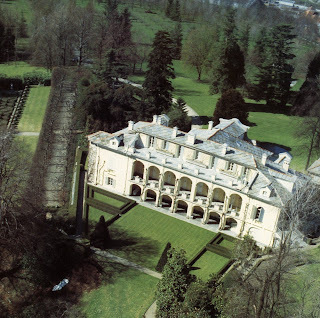 The Villa Agnelli, the family's country house and estate there, consisting of a 45-room stuccoed rococo villa with grounds and a commanding views of the Alps, has been in the the Agnelli family since 1811. As well as Russell Page, the English landscape gardener, the Agnellis hired renowned architect Gae Aulenti to create the timbered pool house. The estate also contains a family chapel, where members of the Agnelli clan are buried. 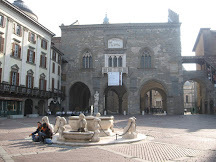 Juventus is one of the two major football clubs in Turin, the other being Torino. 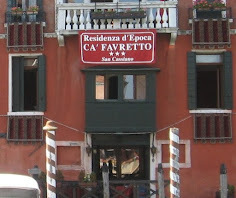 Although Juventus now play at a stadium on the northern perimeter of the city in the Vallette district, the club's roots are in the city centre. 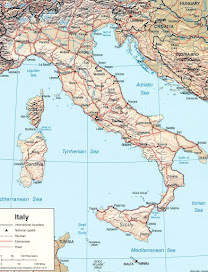 Their original ground was in what is now known as the Parco Cavalieri di Vittorio Veneto, a large green space between Corso IV Novembre and Corso Galileo Ferraris just south of the city centre, which in the late 19th century was Piazza d'Armi, an army parade ground. Nearby is the Stadio Olimpico, now the home of Torino, which was formerly called Stadio Comunale, where the two clubs cohabited until 1990. 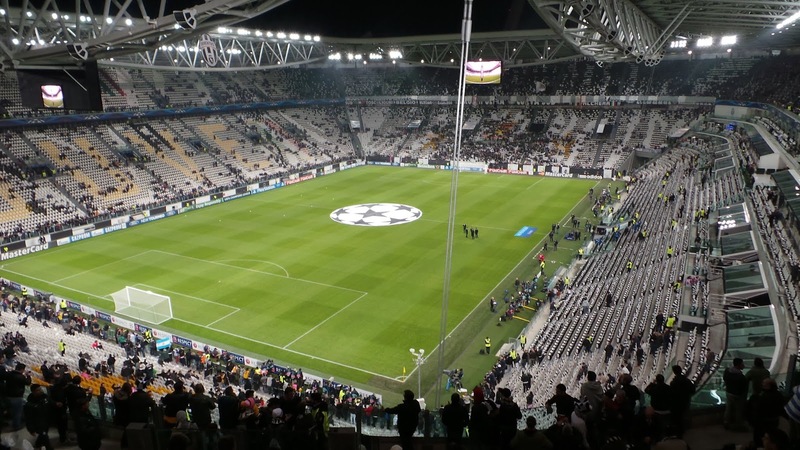 Juventus now play at the Juventus Stadium, an ultra-modern ground with a 41,000 capacity that has been their home since 2011, and which also houses the Juventus museum.